DIY fundraising is a new fundraising channel that empowers your community of supporters to raise money on your nonprofit’s behalf by starting a fundraiser of their own at any time —without cannibalizing any of your other campaign efforts. This differs from DIY fundraising in that, with DIY (a subset of peer-to-peer) you are empowering your supporters to create a fundraiser whenever they want, based on whatever style of event they want to do. Maybe they want to do a birthday fundraiser, a memorial fundraiser, or get creative in the name of your cause. 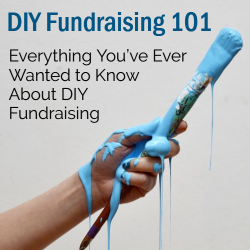 By creating a DIY fundraiser, they’re not attaching their campaign to an event you’re running at a specific time. Instead, they’re just starting a fundraiser whenever they want. I answer that question with a resounding yes (and if we embraced exclamation points we’d even add one here). Time and time again, we’ve talked to partners who’ve had incredible success when they’ve incorporated DIY fundraising into their overall strategy. Curing a disease, building shelters, rescuing animals… no matter what cause space you are in, passion runs deep in your supporters. And when you give them a platform to take that passion and run with it, amazing things start to happen. With DIY fundraising growing at a rapid pace, with the right fundraising platform, and some up front strategizing, embracing and encouraging DIY can make a huge impact on your cause. It seems like every time a parent turns around their kid is selling something for a fundraiser. School fundraisers shouldn’t add stress to families. They shouldn’t require overworked teachers to do more work. Fundraising can be incorporated into the classroom to teach kids valuable lessons about giving back. They can be student-led and provide important leadership experiences. Use fundraising opportunities to bring communities together and get people excited about opening their wallets for a good cause. It should be an amazing experience for everyone involved–teachers, students and their parents. These days, it might seem like a penny or dime doesn’t go very far. Don’t let idea fool you – loose change can still make an impact! Have your students search their couch cushions, underneath the seats in their family car and the laundry room for spare change to collect and donate. All that change can add up. Make it a competition. Classrooms, grades or even schools can compete to see who can collect the most change. Incorporate the change wars into math lessons on money, addition, multiplication and budgeting. Just be careful the students don’t cause a change shortage! can be a bike-a- thon, dance-a- thon or read-a- thon. Cater the activity to what your students can do best so they stay motivated and enjoy themselves while fundraising for your cause. Make athletic accomplishments count off the scoreboard. Student athletes can fundraise using their own accomplishments. They can raise money through donations and pledges for their athletic achievements in their respective sports, whether it’s kicking an extra point in football, hitting home runs or a goalie counting their saves. Student athletes find it brings extra meaning to their sport and accomplishments while raising funds and awareness for their cause. Principals, teachers or other school staff can incentivize their students toward reaching their fundraising potential. As long as staff members don’t mind a little fun at their expense, students will be motivated to see their principal or teacher spend the night on a roof, dye their hair a bright color or take a pie to the face. board and members. In addition to raising money and awareness for a great cause, the students will build leadership, social and decision-making skills. What is more student friendly than an old fashioned, all-American lemonade stand? 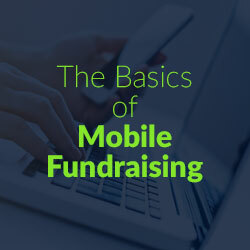 Valuable lessons can be learned while fundraising. Students use social skills to interact with customers. They use business and math skills to figure out what supplies they will need, how much everything will cost and how much profit they will be able to donate to the cause. 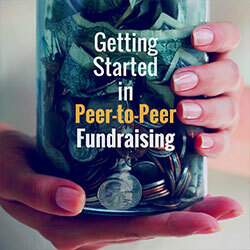 Set students up for fundraising success with activities they actually want to participate in. Invite feedback or collaborate with the students. 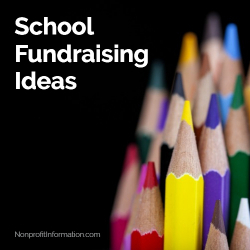 They might have creative and successful fundraising ideas that adults never would have dreamed of! Kids want to give back. Sometimes all they need is a spark to their imagination and they’ll figure out a great way to support their cause. As a parent of three children in public schools, I know the importance of raising funds for classroom materials and enrichment programs. Yet too often fundraisers like bake sales and McTeacher Nights promote unhealthy eating or turn students into competitive sales reps for big brands. The good news is you don’t have to compromise. There are ways to fund education with education, creating a win-win situation for students by choosing fundraisers that promote healthy living, art, reading and writing. We’ve all heard of the book fair, a great way to promote children literacy while raising money from book sales and read-a-thons, but let’s explore some lesser known fundraisers that promote health education, enrichment and writing. Add a big twist to the usual Walk-A-Thon by having students complete five health stations in one day. For example, have a hip-hop dance station, a Kung-Fu station, a yoga station, juggling station or GoNoodle station. Find local teachers interested in donating their time to get their name out and find new students. Not only will this raise money for your school through pledges, kids may be introduced to a new sport they had not considered before and become more active. Use creations made by students during art lessons to create personalized products for parents to purchase: greeting cards, mugs, plates, tote bags, ornaments… the sky’s the limit! This is a great fundraiser before the holidays, when families are looking for special gifts for grandparents and loved ones. Kids work harder on their art when they know it may be printed on Mom’s favorite coffee mug. They’ll also feel real pride in their accomplishment when seeing the final product. The Classroom Book was our answer to an educational fundraiser that empowers each child in the classroom. Students create a book in class based on what they are studying, be it poetry, short stories, non-fiction or any lesson plan that lends itself to project-based, creative work. Each child participates with a written page and a page of artwork. The final product is a hardcover book that turns every student in the classroom into a published author and illustrator. Book purchases support the school while encouraging the child, as they champion their writing and efforts. The books make a wonderful keepsake, showcasing work done in school, and motivating parents to stay involved in other fundraising efforts. This highlights another benefit of educational fundraisers – parent involvement. Parents of school-age children, especially those who have more than one child, often suffer from fundraiser burnout, dreading the next cookie sale or silent auction. Educational fundraisers bring into light the direct link between money raised for the school and the benefit to their children, so they continue to stay involved and care. Does it create value for the student and parent? Does it go against parent’s values or youth education in general? Can I double the impact of my fundraiser by making it educational in nature? After all, school fundraising is there to benefit our children’s education. 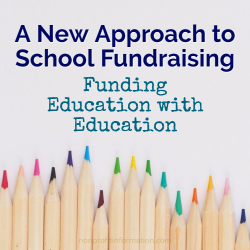 If you’re wondering if educational fundraisers are really the way to go, consider this surprising statistic: schools raise $1.5 billion every year for education, yet two thirds of the nation’s 4th graders cannot read at grade level. It’s not just about how much. It’s also about how. Let’s get right to it: community foundations are the center of the universe for philanthropy in their communities. Who is better placed to enhance local vibrancy and alleviate social issues in our communities? Who is better positioned to align donor resources with community needs? Who is more intimately aware of the nuances and needs in our communities? Nobody. Community foundations truly hold a unique position to make a difference for the people and places they serve. But with that unique position comes a responsibility to connect the dots across the various groups and individuals who can effectively collaborate to create change. Community foundations that can truly embrace collaboration may see the strongest results of their efforts. What does it look like when a community foundation embraces collaboration? You attract new donors and increase community engagement. Collaboration is tough if you’re all alone. Collaborative community foundations recognize that it has to start with attracting donors and potential partners with the right first impression. Websites, landing pages, email communications – any part of your digital world – needs to convey the right message from the get-go to elicit a feeling of, ‘I trust that this organization can truly help my community.’ It’s important to pull people in with a sense that they’ve found the right partner for change. To truly embrace collaboration and see the benefits it can bring, you’ll need to make sure you have the systems and tools in place ahead of time. You keep people engaged with knowledge and storytelling. Once someone is engaged, how do you keep them engaged? Community foundations have an opportunity to use their unique position to share community insights with donors and other collaborators – insights that people won’t be able to get anywhere else in quite the same way. To build these insights, you’ll need to absorb data and perspectives from a variety of sources, and you’ll need to nurture relationships to keep those lines of communication open. When you embrace collaboration in building insights, you simultaneously cement your position as a knowledgeable resource and give people a sense that they are invested in the community impact story they are helping to build. You know collaboration can take many forms. The word “collaboration” gets thrown around so much, and the term can mean many things and take many forms. 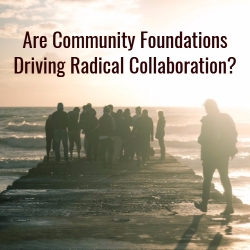 In one scenario, collaboration may look like a community foundation bringing key donors to a literal table to discuss community issues and the foundation’s vision for the future, with a dialog about how to co-create that future. In another scenario, like with the Community Foundation of Boone County in Indiana, collaboration could look like a multi-sector partnership with various viewpoints and sets of resources combining to enhance the vibrancy of places around the community. In another scenario, collaboration could mean investing in knowledge sharing with other organizations tackling similar community-based issues halfway across the country. You start to rethink the idea of competition. By nature, community foundations operate similar to a business – only instead of attracting and expanding a customer base, you’re focused on donors. So, it isn’t surprising that there is a sense of competition among community foundations for donor attention and dollars. But we are seeing some radically collaborative community foundations rethinking the idea of competition and viewing other community foundations as potential collaborators to create shared outcomes. As one example, we see the Silicon Valley Community Foundation trailblazing in this area, pulling together different community foundations as well as other types of organizations and individuals to achieve results. With the magnitude and complexity of social issues facing our communities expanding and changing every day, collaborative community foundations may hold the key to making a major difference. 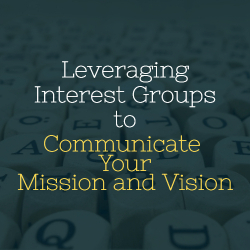 No money to get the word out on your nonprofit’s initiatives? No problem. Leverage your allies. Consider that your stakeholders, that is, donors, clients, sponsors, board members, staff and volunteers that are involved with a nonprofit, become spokespeople for it simply by their association with the group. Making the most of their individual and collective voices is a smart and economical way for nonprofits to spread the word on who their organization is and what it’s doing. One way for a nonprofit to maximize its supporters’ potential impact is to encourage them to talk about and promote the organization and its efforts during their interactions with people outside of the charity, such as with family, friends and colleagues. Another means is to recruit available staff and volunteers to participate in opportunities on the organization’s behalf where their presence, and possibly voice, could heighten the nonprofit’s visibility, such as through business happenings and networking events, social media platforms, community outreach initiatives, awards programs and print, radio and televised media opportunities. While it’s easy to see that the potential reach of a nonprofit’s supporters is far and wide, the organizations need to be sure that their supporters follow a defined direction in their outreach efforts or else the organization’s message could become lost, muddled or even distorted. For those reasons, nonprofits should provide their allies with a clear understanding of the organization’s key messages and talking points, so they’ll be able to effectively communicate the organization’s mission and initiatives to others when opportunities arise. Remember, too, that while people involved with a nonprofit may be able to promote the organization in general terms, their message will be more effective if it’s aligned with a specific cause or initiative. Recently, for instance, one of Astor Services for Children & Families’ supporters used crowdfunding to alert others about a marathon she was running to benefit the organization. The initiative also was posted on social media and in the news media, helping her to surpass her goal by more than $1,000. The idea is for organizations to start their outreach with a core group of stakeholders from which to branch outward, allowing the same message to be conveyed through many different means, in the hopes that it goes viral. After all, the more communities’ businesses and residents connect with a nonprofit, the more likely it is that they’ll take up the organization’s cause through financial contributions, volunteerism and other means. At the same time, nonprofits should look for a balance in what is shared about them, how it’s communicated and how often. Social media, for instance, provides an easy way to communicate news in a readily accessible medium, but it can be overdone, causing people to bypass posts instead of reading and sharing them. Still, it can be difficult to know how much is too much. Data analytics on social media posts can be helpful in showing what’s been most effective in terms of opened, shared and commented news. Personal preferences can also help guide a nonprofit on what’s a suitable amount of news to share, including specific supporters’ feelings on what’s appropriate. It’s also important to keep in mind that different demographic groups respond to news items and media outlets differently. That means it’s essential for nonprofits to know how to direct their messages to appropriate audiences, what the interests of that group are, and what they’d be likely to react to and read. It’s also key for nonprofits to know who, of their supporters, are the best people to deliver the organization’s news to each of their audiences. Some supporters, for instance, are happiest and most effective when they serve as ambassadors and help to fortify connections. Others may be more inclined to take the role of askers, where they ask probing questions of others, or serve as an advocate or advisor. Knowing what each ally’s comfort level and strength is can fortify a nonprofit’s position, as can being responsive to incoming interest in its cause. Something else for nonprofits to think about is the general public’s knowledge of their cause. Autism, for instance, is a national issue that is so largely recognized that local nonprofits dedicated to the issue might find that minimal funds for their outreach efforts suffice. Other, lesser known groups that don’t have that kind of movement might need to dedicate more funds toward their effort to connect with others. By utilizing their allies’ reach, nonprofits can increase the span of their marketing efforts at a minimal cost, helping ensure that more of their money goes directly into their programs and services. For many, however, as their organization grows and expands its services, so will the pool of people it serves, necessitating a greater investment for its outreach programs to connect with target audiences. As always, it’s a matter of balance. Big, small or no budget, effective outreach efforts require ongoing attention to successfully reflect the regular changes that a nonprofit and its communities experience. At Astor, we constantly go back to the data and hold up the mirror to see what’s working and what else we can do. Let’s face it. Fundraising events are tough to pull off. Even if you have a comprehensive plan in place, a strong team of staff members and volunteers, and a great speaker lineup, things can always go wrong. This isn’t meant to discourage you from hosting fundraising events. On the contrary, it’s supposed to serve as an inspiration for your organization! While there is no shortage of fundraising advice out there, this article will mainly focus on securing corporate sponsorships and donations from local businesses. Companies are nearly always looking for ways to be more philanthropic. Your nonprofit can be the recipient of their goodwill if you simply reach out before you host your next big fundraising event. Read ahead for the four main ways your nonprofit can obtain corporate sponsors and donations for your next fundraising event. If you’re looking for general advice on asking for donations from businesses, check out this article! If your nonprofit wants to successfully ask for and receive donations from companies, you have to determine which companies you can realistically receive contributions from. Vendors that you buy office supplies from. Companies that match the contributions of your donors. Local businesses with well-known owners or executives (some of these people might be board members of your organization!). 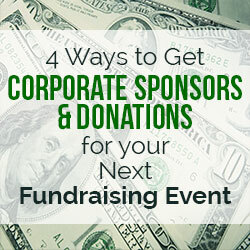 This step is crucial if you want to successfully obtain corporate sponsors and donations for your fundraising event. 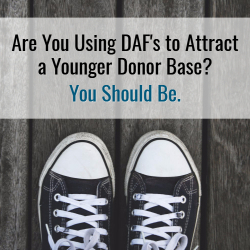 You’re likely already conducting prospect screenings on your donor pool. 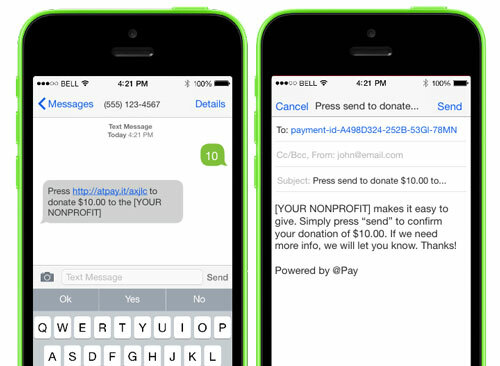 Why not employ a similar strategy when asking for donations from local companies and businesses? They say that past giving is the greatest indicator of future giving, and that principle holds up when applied to companies. Find out which businesses are already philanthropically minded and ask for donations and sponsorships from them first. 2. Remind companies of what you can offer them. Before a company decides to commit to being a corporate sponsor at your fundraising event, you have to convince them that it will also be worth their while. How will the short-term event and the long-term sponsorship meet the company’s objections and vision? Are their different levels of support and what do companies receive at each one? What types of donors will be exposed to the sponsorship? Naturally, you should be prepared to answer other questions that companies might have. Forming a corporate partnership or acquiring a corporate sponsor isn’t something that should be entered into lightly. Your fundraising team should be prepared to answer these questions to the best of your ability. 3. Remind companies of the different ways they can give. If, during the course of your meetings with companies, you realize that they might be on the fence about donating a major gift or sponsoring your fundraising event, try shifting gears and remind them of the different ways that they can contribute to your cause. Offering products for your event. Matching the donations of employees that give to your nonprofit during the fundraising event. Donating items to sell during an auction (when applicable). Companies might be more willing to start out with one of these contributions rather than jumping straight into a sponsorship or major donation. 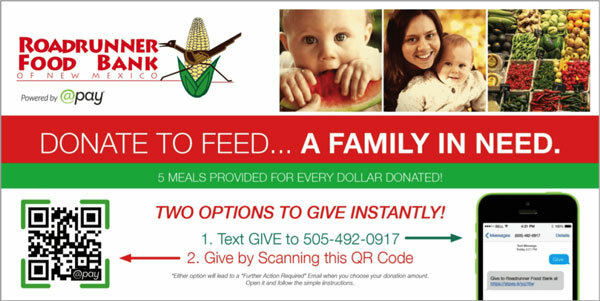 Remind them that there are other ways to give back! 4. Add corporate executives to your guest list. If you didn’t land the sponsorship that you wanted or were unable to secure a donation from a local business, don’t fret. There are still ways you can ask for donations and expand your fundraising efforts to the corporate world. How? By inviting corporate executives and business leaders to your fundraising events! Sometimes, a CEO or business owner might want to see evidence of how your nonprofit is spending existing donations. 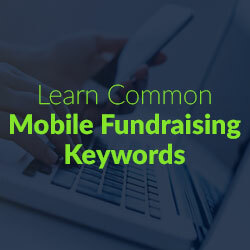 They also might want to directly interact with other donors or your nonprofit’s staff. And who could blame them, really? If their company is planning to donate a significant amount of money or partnering with your organization, they’ll probably want to know that their donations and sponsorship will be money, time, and effort well spent. Make sure that your invitation is personalized and signed by a board member or leader in your organization. You don’t want to send out a cookie cutter invitation! Once your guests arrive at your fundraising event, make sure that you introduce them to various staff members that can effectively answer their questions and show them evidence of how donations are typically used. By inviting corporate executives and business leaders to your fundraiser, you’ll be able to raise more money during the event itself and in the future as well! As stated in the introduction of this article, fundraising events are no easy task. They require money, time, a dedicated staff, and lots of patience and planning. But you might be able to take some of the stress away by asking for corporate sponsorships and donations for your next fundraising event. Whether you’re hosting a silent auction for your church or throwing the annual gala for your cultural organization, corporate sponsors and donations are a great additional source of fundraising revenue! The leaves are changing color, the temperatures are dropping, and the kids are back in school. We all know what that means. Fall is here. Guess what else is here? Fall fundraising season. It’s time. Gather your volunteers. Book your venues. Invite your donors. First though, you will have to choose which events you will be hosting. 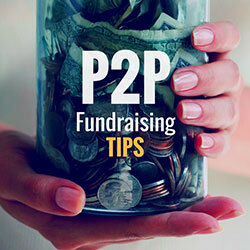 In this article we discuss three excellent easy fundraising ideas, if they are not a good fit find more fundraising event ideas here. As you make your selections, just remember one thing. Creativity is king in the fundraising world. Your supporters are just as bored with the same old, same old as you and your staff are. Shake things up! Ready for a way to bust out of the gala and run/walk back and forth? 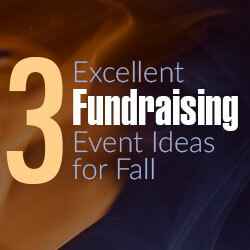 Try these three fundraising event ideas on for size. If you want creative, look no further than speed networking. This fundraising event combines three separate types of fundraisers into one super, spectacular fundraising extravaganza! I say that jokingly, but speed networking truly does combine three individually strong fundraising events into one night to remember. Many of your supporters are professionals looking for social and casual avenues for networking. As a fundraising organization, you should be able to appreciate the concept of “it’s who you know” as well anyone. Help strengthen your community of donors by bringing together a group of like-minded individuals to mingle in an interesting format, all for a good cause. Promote the event across your various communication channels, and especially on social media. Speed networking is likely to draw a slightly younger crowd as its greatest appeal is to young professionals. So, plenty of marketing using your strong social media presence is a must. Speed networking will run in much the same way as a speed dating fundraiser, minus the romance. Have all attendees pay a small admission fee. Set up a series of two person seating arrangements. Break the group in half and designate one half as the seated section and the second half as the shifting section. Give professional pairs around eight minutes to mingle before calling for a switch. Offer cocktails and light hors d’oeuvres throughout the night to cap off the experience. It is always great to gather many of your supporters in the same room and find a way to reciprocate all they do for you. They’ll be grateful for the many valuable connections. Why worry about holiday weight gain? Get into those skinny jeans early and stay that way with a weight loss challenge fundraiser. Also called a weight loss-a-thon, weight loss challenges are fundraising events for those of us looking to live healthier lifestyles. They function just like other “a-thons,” from the more standard walkathon to the less practiced read-a-thons. This time though, instead of competing to walk the most miles or read the most books, people will be competing to shed the most pounds. Host the event via a peer to peer platform and run one competition for individuals and one for teams. People will gladly sign up for the charitable incentive to stick to their fitness goals. Like most similar events, this weight loss-a-thon will raise money through pledges made based on participant performance. Your competitors can gather set amounts just on the basis of entering and/or they can gather pledges per a certain amount of pounds lost. Find health experts like personal trainers and nutritionists to volunteer their services in-kind to help guide the competition and make sure everyone is making the right decisions for their own needs. It’s a fundraising event that lets participants do well by themselves, while doing well by others. Plus, this whole event is low-cost, meaning there is a huge chance for a favorable fundraising return on investment. As we round the corner towards fall, we’re harshly reminded that the joyous vacations of summer are a thing of the past. Our wanderlust sets in and we start making plans for our next big trip. Satisfy that travel bug. Offer up the trip of a lifetime with a vacation giveaway! Run your vacation giveaway like a travel raffle. They take ingenuity, dedication, and some good fortune to come together, but, boy, when they do come together, it is something to behold. The best part about hosting a travel raffle in the fall is that it will be used in the coming winter or spring, meaning both warm and cold weather destinations are up for grabs. Plan the greatest trip you can think up. The biggest obstacle you’ll face is securing enough items to put together an entire trip package. A prize on the minimal side of things will have lodging and airfare. Build up from there with excursions, dinners out, and various other must-sees depending on the locale. You’ll be able to put together a complete travel package through gifts in-kind from various businesses and supporters of your organization. Sell tickets for the raffle at a set price according to how much the trip is worth. Then, invite everyone to the big pick and announcement. Prospect research will help you find both candidates to donate gifts and candidates to buy raffle tickets. All three of these fundraisers are sure to bring success. They each address a different kind of audience and need. One or all might be the right choice for your organization. Take your pick and get to work!